Wondering what to expect at your first stem cell therapy appointment? Our experienced staff will help you know what to prepare for every step of the way. Stem cell treatment takes advantage of the body’s ability to repair itself. With Amniotic Stem Cell Therapy, your Mile High Spine & Pain Center Provider will inject stem cells from amniotic tissues into your body. The growth factors in Amniotic Stem Cells may replace damaged cells in your body. Additionally, stem cell injections contain hyaluronic acid, which lubricates joints and tendons, easing the pain and helping restore mobility. Stem cells are neutral cells in the body that every person is born with. The International Society for Stem Cell Research refers to stem cells as the “foundation cells” of the human body. When you are born, your body and also the tissues that connect to it (the umbilical cord and amniotic sac) are full of cells that stimulate and support growth. Those cells are also referred to as stem cells. These types of cells are ones that are able to transform into any other type of cell in your body. They differentiate and become the type of cell your body needs, where it needs it. This is one reason that you are born with so many and that the umbilical cord and amniotic sac are mainly made of stem cells. So much growth is happening! When you are injured throughout your life, your body needs a way to repair itself. It does this repairing through stem cells. You cut your hand, and your body releases blood platelets into your bloodstream to clot a wound. Your stem cells lie dormant until you have an injury, then they too are released to your bloodstream and rush to the site of your injury. They then transform into the type of cell your body needs to repair and patch up tissue that was damaged. As you age, the amount of stem cells your body has diminishes, especially if you are injured often. Chronic conditions can also zap some of your stem cells your body has had in reserve. However, you can receive stem cell therapy, which is a way to replenish your stem cells from donor sources. This therapy works several different ways. When you have an injury, stem cells help heal that injury. Extra stem cells can boost healing and recovery time. The more stem cells you have, the quicker your body can heal. With stem cell therapy, a medical professional can take stem cells from one part of your body and inject those stem cells into another part of your body that needs some extra healing help. Or, you can receive therapy injections from donor sources. There are many donor sources, but the most popular sources are from others donating their stem cells, or from donated amniotic sacs and umbilical cords. You receive an injection (so basically a shot) of stem cells straight into the area of your injury or chronic condition. 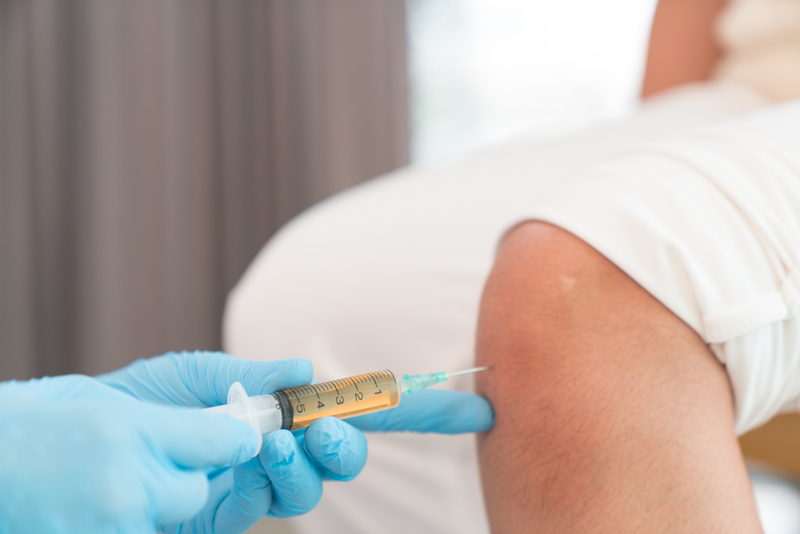 This shot is similar to a cortisone injection because stem cells are naturally anti-inflammatory, but these injections also stimulate healing and repair. Your stem cell therapy appointment will be similar to a cortisone shot appointment. Most patients who receive stem cell therapy are people who have chronic conditions such as arthritis, or are people who have sustained an injury. Nobody wants to be injured, nor do many people like how long it takes the body to recover. Stem cell therapy is a way to shorten your healing time, while reducing inflammation. 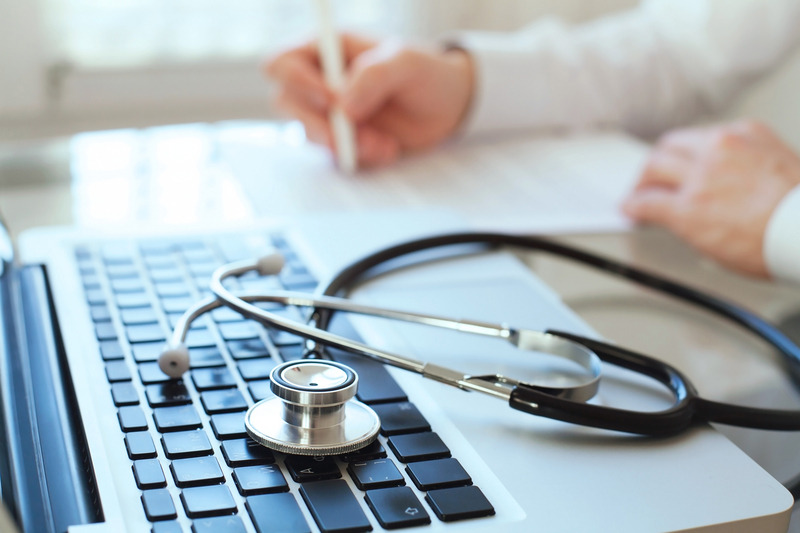 When you come into our office, we will conduct a full medical evaluation that includes your medical history, current medical state, current injuries and ailments and if you are a candidate for stem cell therapy. If you are, we will determine where your injury or ailment is coming from. For arthritis patients with pain in their knee, the knee joint is where your pain and symptoms are originating from. We measure out the amount of stem cell solution you need for your condition as well as your body’s size and shape. We will then inject the solution into areas of your body where the chronic pain is originating from. If it is the knee joint (or any other joint), we may inject the solution at several points, so if fully disseminates throughout the joint area. With a joint, there are open areas where the stem cell solution can spread out, covering not only an area in chronic pain, but the entire joint with connecting cartilage. Most patients find the most anti-inflammatory relief in their joints, but we can also provide soft-tissue injections as well. If you are suffering from chronic pain, an injury, or a chronic condition such as arthritis, don’t live with your symptoms! A stem cell therapy injection here and there can help your body heal itself quicker and better than having your body do it alone. The stem cell procedure takes just 15 minutes with pain relief in 24-48 hours. We do this injection right in our office without the risks of surgery, general anesthesia, hospital stays or prolonged recovery. Most patients experience complete joint restoration of ligaments, tendons and cartilage in 28 days. To learn more about how stem cell therapy appointments work, call Mile High Spine & Pain Center today at (720) 507-0080!